Penicillium chrysogenum fungus. Colony of the fungus Penicillium chrysogenum growing in blood agar in a petri dish. 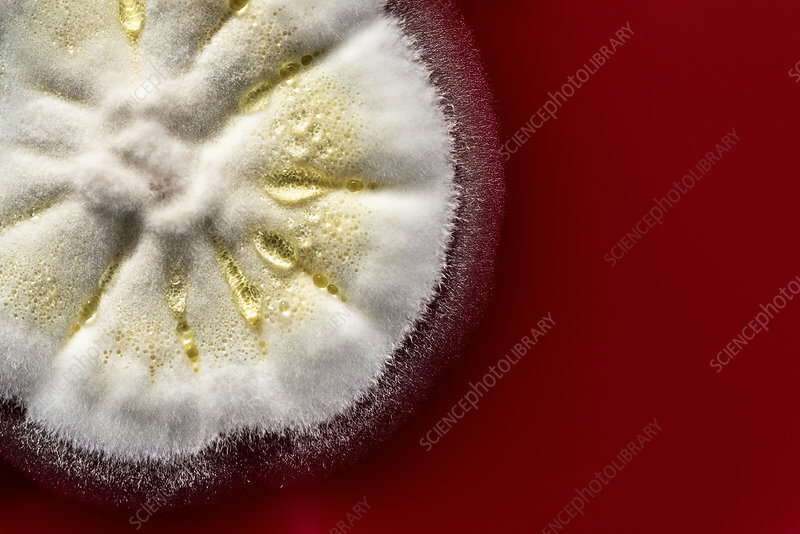 This fungus is a source of the antibiotic penicillin G, which can be seen as spherical droplets of exudate (extrolite, yellow) on the colony's surface.